AliDropship Chrome extension is a free extension for Google Chrome browser. 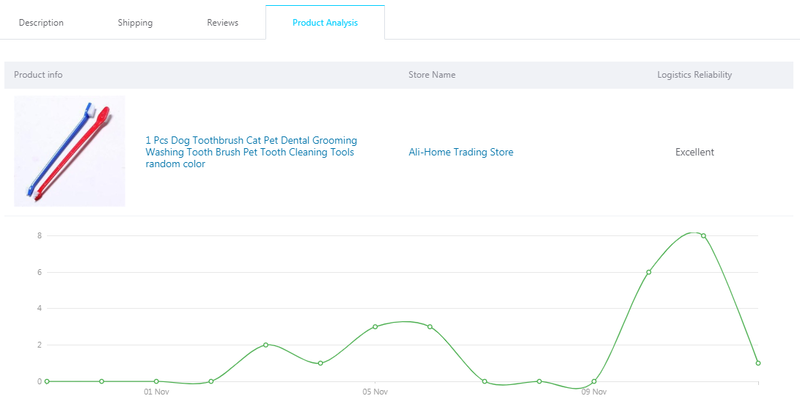 With the help of this extension you can view such information in Product Analysis tab as links to the product and the supplier’s store on AliExpress, logistic reliability and the demand for this product during the last two weeks even without importing it to your store. 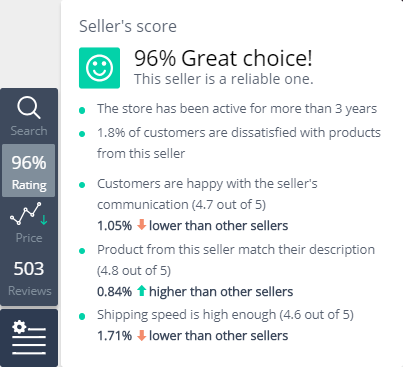 When you visit AliExpress, this extension displays AliDropship Seller's Score which shows how reliable the seller is. AliDropship Seller's Score has a more complicated formula if compared to AliExpress Score, that's why their results may differ. If you want to use all these features, you need to authorize AliDropship Google Chrome extension on your site. Here is the step-by-step instruction on how to do it.